SKU: SDS643PY. 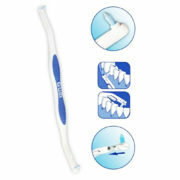 Categories: GUM Interdental Cleaners, Interdental Cleaners. BONUS! The Snap>Ons Sulcus Brush handle works with the GUM® Proxabrush® Snap>Ons Interdental system.